Garden Rooms – How would you use yours? 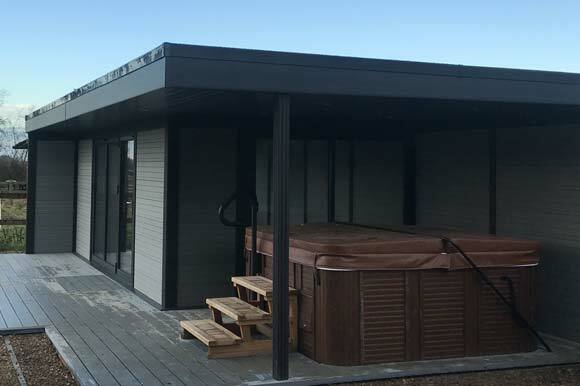 Our garden rooms are designed and manufactured to perfection – combined with our expertise in installation and excellent customer service, it is no wonder that composite timber garden buildings are the choice for a garden room. 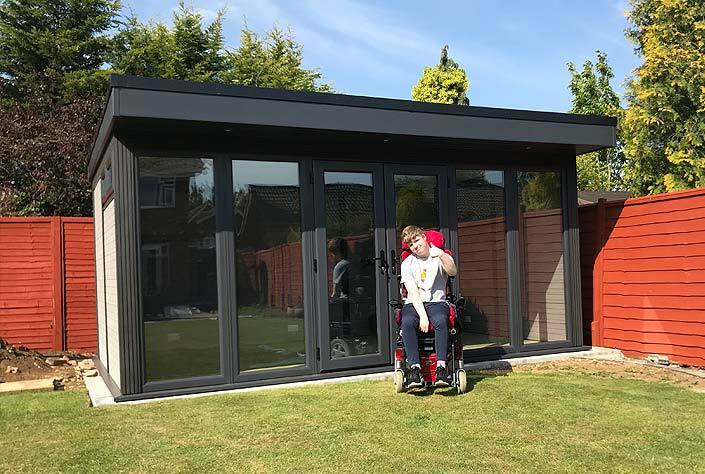 Our Garden Rooms are designed specifically to be low maintenance and withstand the elements and time, to ensure that you don’t have to spend another penny on any additional maintenance or work after your new addition has been installed. Its unique cross section composite material means it delivers the traditional timber appearance with absolutely none of the additional maintenance . Your stylish space is guaranteed to never rot or warp and will never require painting or staining. We design our products with the aim that they will look as good in years to come, as they do on the day of installation. 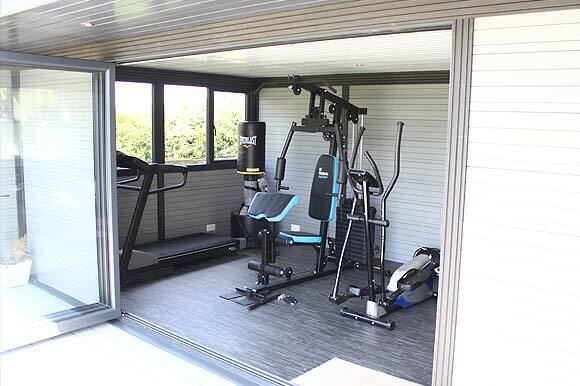 Fully weatherproof with a BBA certified waterproofing system and strong robust framework, you can have peace of mind that your Garden Room is as protected and stable as it is visually stunning. As well as this, they are fitted with high security locking – guaranteeing that your new addition will be stylish and secure. Multiple insulation features mean that they are a comfortable living space 365 days a year – providing no limitations with what you can utilise your new room for. Designed to high specifications at outstanding value for money, these Garden Buildings are suitable for almost anything. These Garden Rooms give you complete freedom of choice when it comes to your design and how you use your new space. 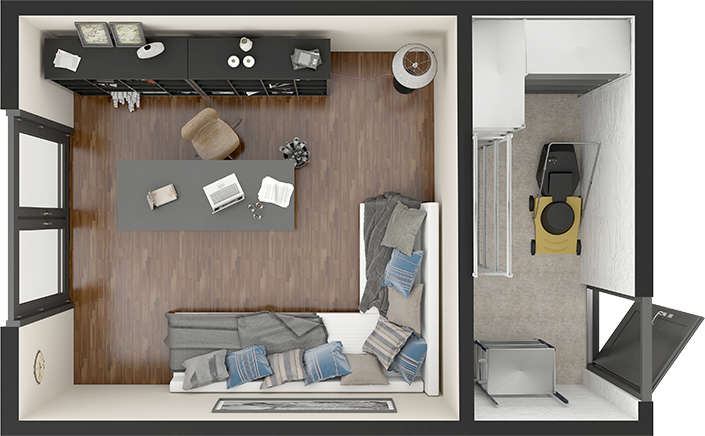 Internal walls can be added with a separate door access to create partitions and separate rooms. Different finish and glazing options are available, as well as the choice of Bi-folding or Sliding doors to finish your module. 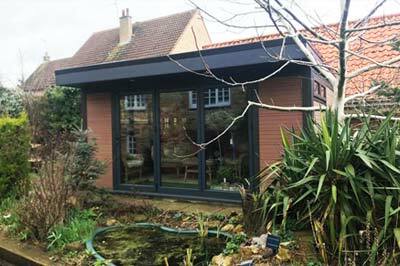 Composite Garden Rooms are fully adaptable and cheaper than moving house or adding an extension, making them a brilliant long term investment.